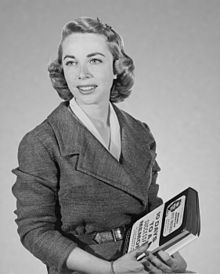 Dr. Joyce Brothers (born 20 September 1927 - 13 May 2013) was a family psychologist, author, and advice columnist; born Joyce Diane Bauer. I can’t tell anybody what to do. Instead I say this is what we know about this problem at this time. And here are the consequences of these actions. I don’t give advice. I can’t tell anybody what to do. Instead I say this is what we know about this problem at this time. And here are the consequences of these actions. Variant: Trust your hunches. They're usually based on facts filed away just below the conscious level. Trust your hunches. Hunches are usually based on facts filed away just below the conscious level. But be warned, don't confuse hunches with wishful thinking. Those who have easy, cheerful attitudes tend to be happier than those with less pleasant temperaments, regardless of money, "making it", or success. Accept that all of us can be hurt, that all of us can — and surely will at times — fail. Other vulnerabilities, like being embarrassed or risking love, can be terrifying, too. I think we should follow a simple rule: if we can take the worst, take the risk. "Our family comes first" Strong families support each other's dreams; they sacrifice to show support. A friend turned down a company trip to the Bahamas so he could attend his son's championship soccer game. "the beach will always be there," he said, "but my son won't always be 14 and team captain." this "family first" attitude begins with a bond of loyalty between marital partners. But single-parent families (28% of all families with children, according to the latest census) can be just as successful in raising strong children if they develop a "family first" attitude. Strong families use the word "we" a lot, but "I" is never forgotten. Family members know they have the freedom to go off on their own, even if the direction is one that "we" have never followed before. The family message is, "We're behind you, so you can be you." While parents are naturally in a leadership role, strong families strive to share decision-making. They resolve differences by respecting other viewpoints and accepting compromise solutions. One family decided to spend money on a son's music lessons rather than replace worn carpeting. The compromise was to pitch in and clean the carpet. In another family, everyone but the youngest daughter loved to ski. They rented a vacation condo with plenty of activities for the daughter, and the skiers accepted an hour's drive to the slopes. In strong families, positive strokes out-number negative broadsides by a wide margin. Members regularly express appreciation: "Thanks for fixing the drainpipe." "You look so nice in that dress." "The dinner was great." Criticism is offered gently. After all, strong families figure, if we can be kind to strangers, why not to one another? "We treat each other well" In strong families, positive strokes outnumber negative broadsides by a wide margin. Members regularly express appreciation: "Thanks for fixing the drainpipe." "you look so nice in that dress." "The dinner was great" Criticism is offered gently. After all, strong families figure, if we can be kind to strangers, why not to one another. Strong families value their extended family, particularly grandparents. In one study of college students, a majority thought their interactions with grandparents reflected high family strengths. It’s important to create continuity between generations, passing along traditions and making roots ever stronger, so the tree continues to reach for the sun. Religious belief, trust, a sense of connection to the universe — no matter what you call it, there is a spiritual component to strong families. They see their lives as imbued with purpose, reflected in the things they do for one another and the community. Small problems provide a chance to grow; large ones are a lesson in courage. A mother whose son died of a brain tumor bravely returned to the hospital where he had died in order to set up a research fund. When she saw the parents of children who currently were suffering, she told her son’s doctor: "If any research you do produces any advance, my son’s passing won’t have been totally without purpose." It takes a certain type of spiritual grace to see beyond one’s own misery to the needs of others. Strong families try to live so they can look outward — and inward — every single day. Maybe Listening, not imitating, is the sincerest form of flattery.